Go to the Online Catalog to view our complete product listing! 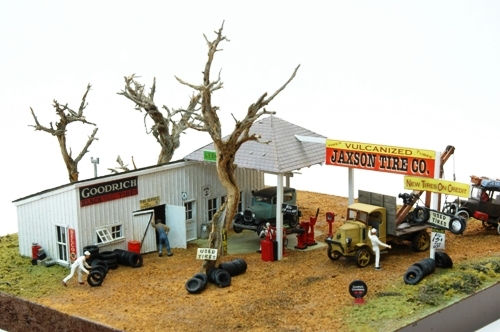 Kit #661- Jaxson Tire Co.
Our Shop is set up like a Depot with crossing lights out front. 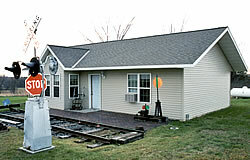 Since 1991 JL Innovative Design has sought to create unusual, innovative and unique scale model products not produced by other manufacturers and offer fellow model railroaders an affordable, unique, and easily constructed product that only looks expensive and complicated. With that in mind, all our instructions feature simple drawings and straight forward directions. No special talent is needed: if you can build plastic kits you can build ours! We've continued to expand and improve our products over the last 20 years, creating one of the largest selections of period billboard signs and poster signs available. We offer over 170 different billboard signs and nearly 3,000 poster signs covering the most popular modeled period from the 1930s -1970s. 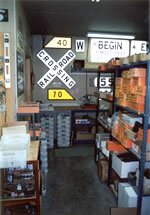 We are pleased to announce the acquisition of the entire Durango Press product line in 2002. 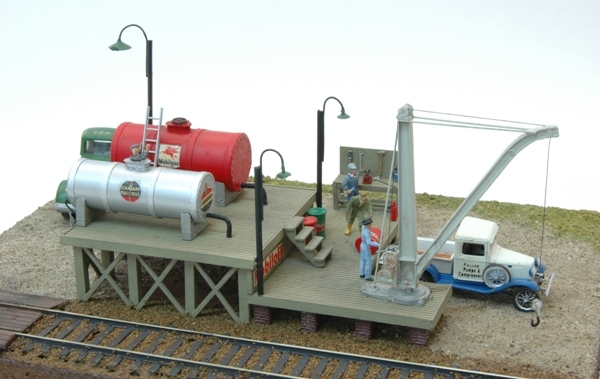 Durango Press offers a variety of super detailed items featuring HO and HOn3 rolling stock & equipment, structures & yard facilities, as well as detail accessories & parts. 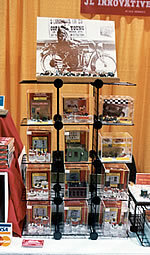 Our booth at the NMRA National Train Show. 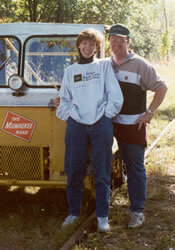 David and Mary Elizabeth in front of their Milwaukee Road "Speeder". Having difficulties with the navigation? Try the site map.